Melvyn Bragg and guests Elizabeth Frood, Richard Parkinson and Kate Spence discuss Akhenaten, the ruler who brought revolutionary change to ancient Egypt. 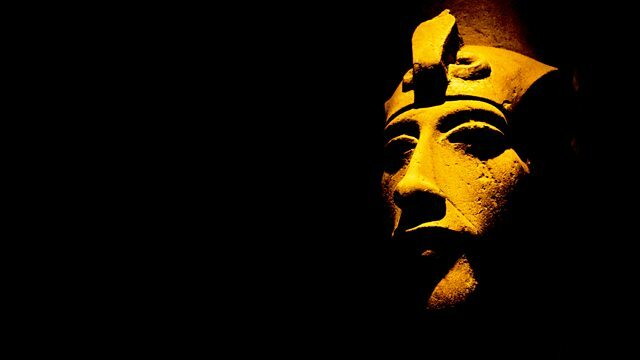 Melvyn Bragg and guests Elizabeth Frood, Richard Parkinson and Kate Spence discuss the Pharaoh Akhenaten, the ruler who brought revolutionary change to ancient Egypt. During his reign, Akhenaten embarked on a profoundly radical project: he set out to transform his people's deepest religious beliefs, moving from a polytheistic tradition to the elevation of a single solar god, Aten. The changes in art and architecture that followed have led some to call him 'history's first individual'. Despite his successors' attempts to obliterate him from the historical record, Akhenaten - and his wife Nefertiti - have been an endless source of fascination and speculation.Richard Parkinson is an Egyptologist at the British Museum; Elizabeth Frood is a Lecturer in Egyptology at the University of Oxford; Kate Spence is a Lecturer in the Archaeology of Ancient Egypt at the University of Cambridge.